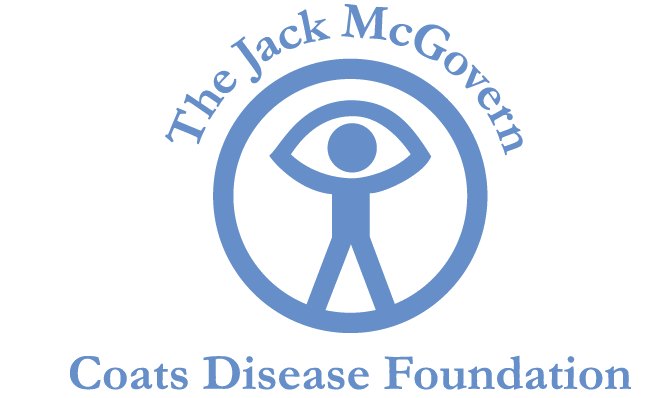 At the Jack McGovern Coats’ Disease Foundation, our mission is to enable new insights into the study of Coats’ Disease. As we continue to work toward finding a cure, a major challenge to researchers is the lack of correctly diagnosed patients to participate in medical research. That’s why we are creating the first and only Coats’ disease Patient Insights Network (PIN). Through this PIN, medical researchers will be able to tap into the pool of Coats’ disease patients for their work, furthering an understanding of the disease. By joining this network and providing your information, you help the Coats’ disease community gain knowledge and facilitate research. Your data is fully secured and de-identified, meaning no researchers will see who you are, your data, and there are no obligations to participate actively in any studies. By joining the Coats’ disease PIN, together we make strides toward finding better treatments and ultimately, a cure. Our goal is to have this Patient Insights Network (PIN) be a place where patients can share their data with other patients and with researchers. If you like, you may also opt in to be contacted by doctors and medical professionals who are actively researching Coats' Disease. Your participation will bring us closer to a cure.